APPLICATIONS FOR FARMER TRAINING ARE OPEN! 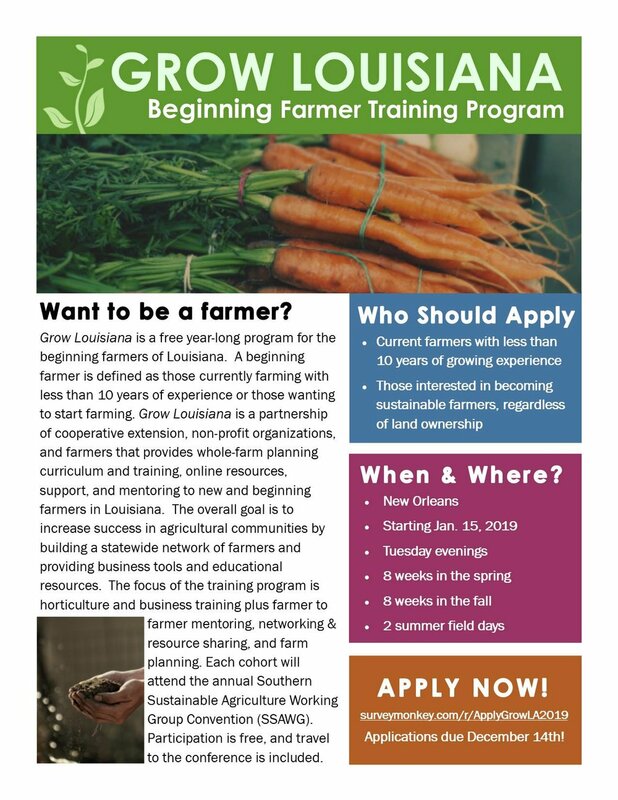 We are currently accepting applications for our Grow Louisiana Beginning Farmer Training Program. 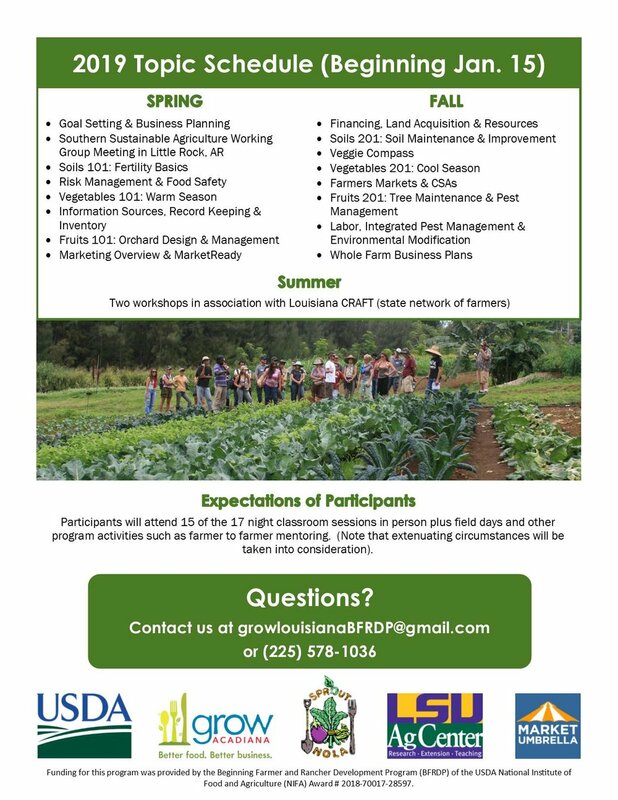 This free, yearlong program is designed to train those who have less than ten years of farmer or rancher experience in Louisiana whether they own land or not. Farmers will learn about sustainable farming and land use, horticultural skills, how to market their farm, land acquisition, and more. There will be opportunities to network with other growers, share resources, and access to mentors. Farmers will also have the opportunity to attend the Southern Sustainable Agriculture Working Group Convention for free as a part of their training. Please view the flyers to the left for more details. For more information you can contact us at growlouisianaBFRDP@gmail.com or (225) 578-1036. Applications are due December 14.